A dish rack is the worst space offender in the kitchen, if you ask me. Even if it is cool and designy, it still takes a lot of precious counter real estate. The mission of this product is to change all that by eliminating the need for a dish rack altogether. Andrew Parsons of Canada’s Humber College developed a concept for Electrolux, called Breeze. 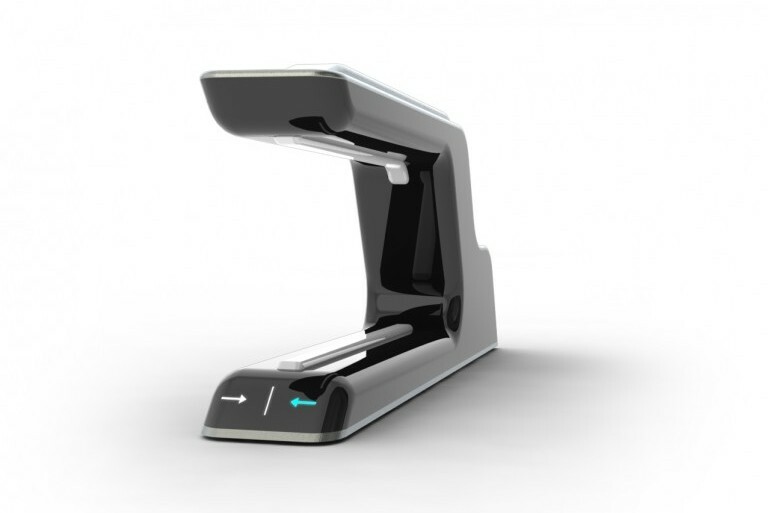 It is a portable dryer that helps you quickly dry your hand washed dishes. The principle is simple – a digital pulse motor concentrates air to a thin stream that blows the plate dry when once moved through the machine. The air travels at a speed of 400 MPH (644 km/h) and leaves your dishes dry and, since you’re not using towels, bacteria free and safe. Brilliant! This entry was posted in marketing and tagged Andrew Parsons, Brand, business strategy, Canada, Clothes dryer, dimitri, dimitri snowden, dishes, Dishwasher, Domus Academy, Electrolux, home innovation, homemaker, Humber College, ion360, kitchen, Marketing, Marketing and Advertising, Message, Real estate, Relevance, Shopper marketing, snowden by dimitri seneca snowden. Bookmark the permalink. Hmmm…I might need one of these! Does it work for utensils as well? I loathe putting forks and other cutlery into the dish rack silverware holder. It looks disgusting and is a playground for germs! !